Tattoos offer a tangible way to deal with life's scars. They renew the skin and give us agency over our bodies. Suzi's story illustrates this in a powerful way and I'm very grateful and honoured that she chose to share her experience with me. When did your tattoo journey begin? I wanted tattoos for a long time, but only actually started getting tattooed a few years ago. 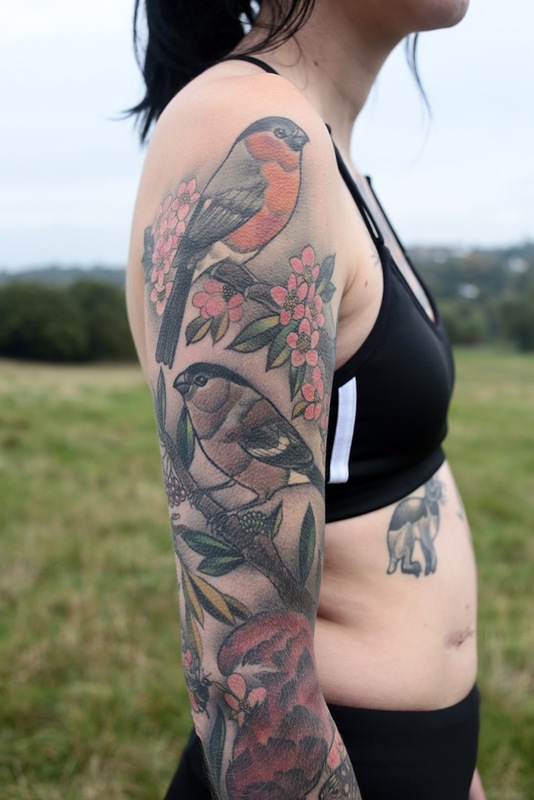 My first was the pair of bullfinches at the top of my sleeve. I spent a lot of time trawling through Instagram to find an artist who could do one of my favourite bird species justice, and came across Charlotte Timmons who I could tell was as much of an animal lover as me. After my first session I knew immediately I wanted to continue the piece into a full sleeve and then from there ideas for other work developed. 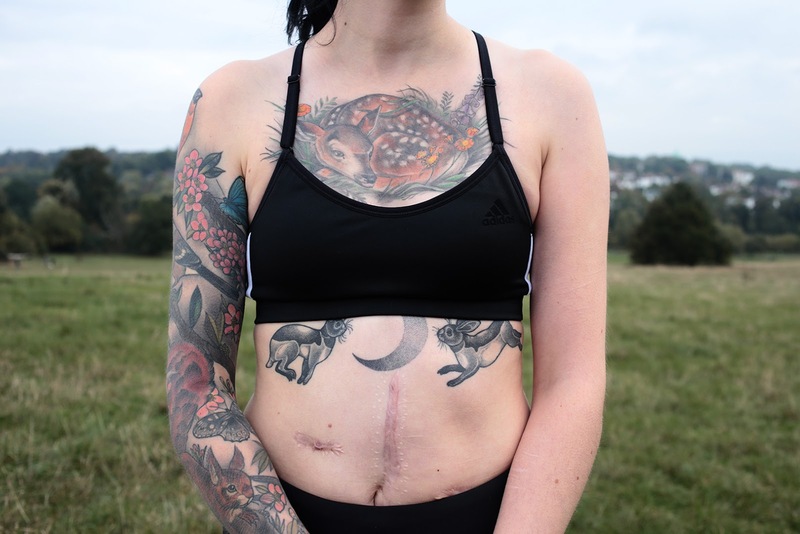 How have tattoos helped you cope with Crohn's disease? It’s really difficult to express how liberating and powerful the experience of collecting these tattoos has been. I was diagnosed with Crohn’s disease in 2012 and soon after had emergency major bowel surgery to save my life, which left me with a temporary ileostomy bag while my digestive system recovered from the trauma. A year later I had further major surgery to reverse the ileostomy. The whole experience was pretty terrifying, emotionally and physically, and really affected the way I felt about myself and my body. Being operated on, having loads of invasive tests and staying in hospital a lot made me feel like I lost my autonomy. When I started getting tattooed, it was like I was regaining control and ownership – I was making my own decisions about what was happening to my body and I could look at myself and see these amazing pieces of art representing what I love most about life. Do you have a favourite tattoo in your collection? I couldn’t possibly choose! I love them all. I think I’m really lucky in that I don’t (yet!) have any that I regret. I think I have to make a special mention about my chest piece though, because I still haven’t quite got over how awesome it is. I’d been admiring Shawn Hebrank’s work online for ages so I was so excited to get tattooed by him when he guested in the UK earlier this year. He did an amazing job on the deer fawn, it’s just so adorable and exactly as I’d imagined it. I still feel excited about it when I see it in the mirror. What parts of your personality are reflected in your tattoos? My love of nature. I have a Masters in Conservation Biology with Ornithology, and I’m vegan, so my life pretty much revolves around animals. There is nothing else I’d rather spend the rest of my life with on my skin than the wonderful creatures and plants that we share the planet with. In the summer, when your tattoos are more visible and maybe invite more attention, is this something that affects you in positive or negative ways or is it something you don't notice? For me, it’s a mixture of both. My partner and I went on holiday to Croatia last summer and it was the first time I’d felt confident enough to be out in public in a bikini. A few months earlier I’d had the hares and moon piece done by Amy Savage just above my biggest scar, and this piece in particular really boosted my confidence. We went swimming in some amazing waterfalls and people were looking at me, but at my tattoos rather than my scars, which is what I’d prefer. On the negative side, sometimes it can feel like you catch the eye of people you’d rather not, almost as though men think your tattoos are an invite to catcall and harass you. I’ve also had men question me about why I’ve “done this to myself”, even in the workplace, which is just outright rude. It’s as if they’re offended that you’ve had the confidence to modify your body in the way you want. From women, though, I’ve had some really nice reactions. 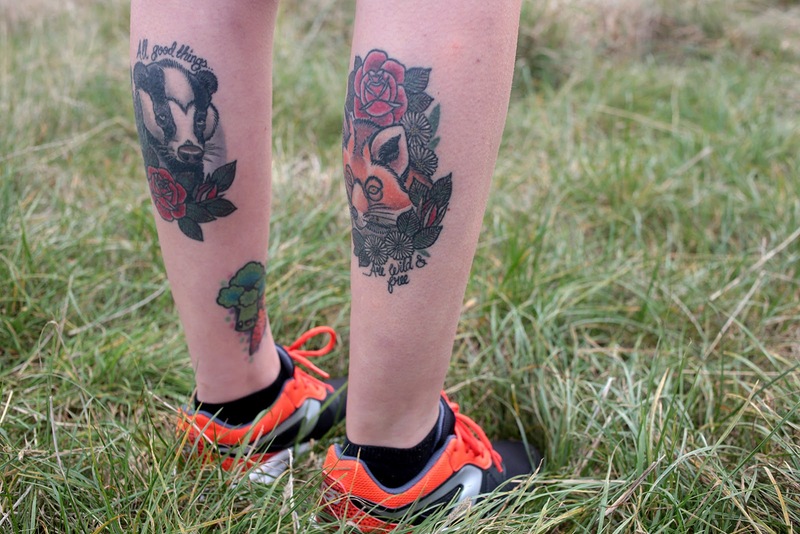 I was out shopping and a woman came over and said she wanted me to know she wasn’t being a creep looking at my legs, but she just really liked my fox and badger tattoos! I think if you really want to comment on someone’s tattoos this is the way to do it. What is that you like about tattoos? Everything, really. I suppose mostly the way they allow people to express themselves in a really bold way and take control of their bodies. 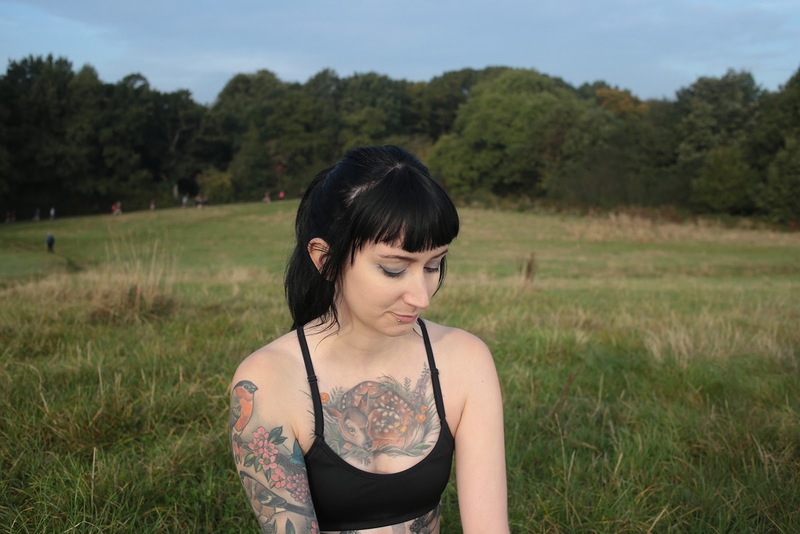 I’ve seen friends’ confidence grow as they get more tattoos as well, particularly women. It’s like we’re pushing back against society’s ideas of how we should look and behave (which I think is the driver of most negative reactions), and there’s a real sense of community in it too. How has Instagram influenced your relationship with tattoos? Instagram has definitely increased my interest in tattoos. It's a great resource for finding out about different artists and getting a really good sense of the kind of stuff they’re into tattooing and whether they're the right artist for you. I think it also really broadens your horizons. I'm constantly coming across artists from overseas and following them in the hopes that they'll do a guest spot in the UK. Having a feed full of amazing artwork and tattoos is just super inspiring too.